Writing a review about Pai Camelia & Rose Gentle Hydrating Cleanser which is a great quality organic skin care product can be only but pleasure since there are so many reasons to feel stick to this organic cleanser which is suitable for different types of skin such as sensitive, dry, combination and rosacea prone skin. As a fan of organic natural skin care and having myself a prone to blemishes complexion, I am always in search of good quality cleansers especially when these cleansers are given awards and recommended by beauty insiders and editors such as Pai Camelia and Rose Cleanser. When choosing a cleanser, I am also interested in looking for products that don’t contain harsh chemicals which will dry out and imbalance my skin, making it more vulnerable to aging and irritations. The above is shortly what Pai cleanser is all about and in this review I will give you everything about this product in detail. Another great thing to discover lately is that Pai skincare products have been used in the shootings of famous films such as “The Black Swan”, “Les Miserables”, and others with the latest one being “Maleficent” with Angelina Jolie. How Did Pai Organic Skincare Come To My Way? Pai skincare creates natural organic skincare products for people with sensitive skin but also other types of skin. These plant based products are made using gentle ingredients that are free of harmful and irritating chemicals. Also, Pai have their own in house R&D lab and manufacturing facility which allows them to control every stage of creation and ensures that what you get each time is a unique product. 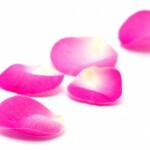 Who Can Benefit From Pai Camellia & Rose Cleanser? While people with sensitive skin can benefit from using the Pai facial cleanser, those with dry skin will also find that this product is beneficial in helping to providing moisture and soften those dry areas without stripping the natural oils or tighten the skin as some other cleansers do. People with combination skin, can also find this cleanser balancing, gentle and effective in cleansing and making skin feel smooth and soft like a baby’s as well as rejuvenated. For me, this cleanser also keeps my skin away from blemishes. Camellia oil which is packed with omega 3 fatty acids and vitamins A, B, C, and E.
By having a quick look at the ingredients, it is easy to conclude that the ingredients are gentle with a wide variety of natural oils helping to soften and hydrate even the driest skin. It also contains natural vitamin E which is an excellent anti-oxidant and can help defend your skin against those free radicals which is one of the leading causes of wrinkles and unhealthy looking complexion. The Lactic acid that is contained in the cleanser is the mildest of all the alpha hydroxy acids. Lactic acid deep cleanses the pores and works as an exfoliator to remove those dead skin cells so that new healthy skin cells can take their place. For me, this cleanser is a product I will always be hooked to. It makes my skin feel rejuvenated and clean, glowing and more balanced relating to the appearance of blemishes. It is perfect for makeup removing, melting even eyes makeup in seconds and it leaves my complexion hydrated and calm with an even tone. So, this product is just..love love love! What Pai Camelia & Rose Cleanser Reviews Have to Say? Majority of the users say that they are very satisfied with the quality and effectiveness of this product. Most of the people agree on certain things like the rich texture, the invigorating smell and the effective and hydrating cleansing effect that this cleanser has. Still, the point where people’s reviews differ are when it comes to whether it is suitable for combination and acne prone skin. The strange thing is that there are reviews from people with acne stating that this cleanser has helped even to clear up their acne and others thinking that this product has not helped their combination skin and even triggered few breakouts. 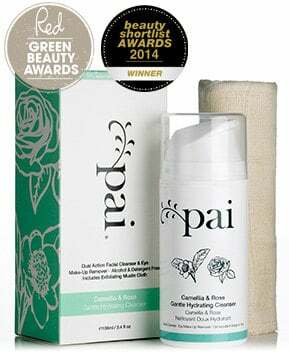 On Pai’s official site it is mentioned that Pai skincare camellia & rose gentle hydrating cleanser is suitable for dry, delicate and sensitive skin but it is also recommended in the oily and combination skin cleansing section probably because of the lactic acid contained which cleanses the pores as well as the other suitable organic ingredients that are included. Free of alcohol, detergents and other common triggers of Rosacea and sensitive skin. Has a luxurious feel and super creamy effect. Both softens and hydrates the skin excellent. Removes even stubborn makeup and can be used as an eye makeup remover. Leaves face feeling extremely clean and fresh. Comes together with a free Muslin cloth with which you can massage and gentle exfoliate. There are few negative reviews as well, however these reviews are few and far between. The muslin cloth that comes free with the cleanser seems somewhat harsh on the skin of a few people. Nevertheless, the company has recently changed this cloth into a less harsh version whose one side is towel fabric and the other side is muslin cloth. Pai Camellia & Rose Gentle Hydrating Cleanser is definitely a “must” cleanser for sensitive, dry, dehydrated, combination, oily, prone to rosacea as well as blemishes skin because of its excellent formula that works gently but yet effectively on your skin. This product is also awarded and favored by beauty insiders who seem to be very pleased with the performance and the benefits of it. Also, keep in mind that in case you want to be more sure about this product, you can order Pai skin care samples at a very good price. For more information on Pai organics, you can read our Pai skin care reviews. Purchasing Pai cleanser means you are always backed by a 30 day money back guarantee which allows you either to ask for your money back or exchange what you have with a new product.